The BC-10 Plus is specifically designed to measure the color of baked, smoked, fried and processed foods, including ingredients. 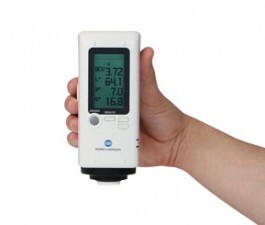 This instrument is lightweight, easy‐to operate and conforms to DIN, CIE, and ISO standards. 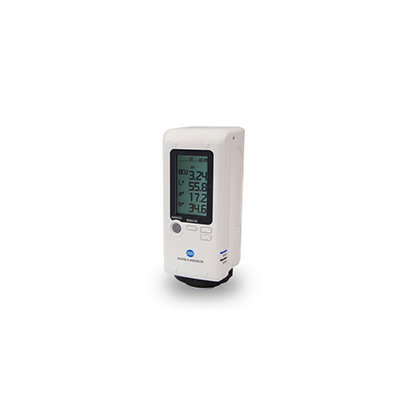 The BC-10 Plus comes with an LCD screen that can display measurement values in Baking Contrast Units (BCU) or CIELab (L*a*b*) values. The use of xenon lamp light source assures measurements taken are repeatable and stable. With a new ergonomic design for repeated use over long periods of time, the BC-10 Plus also comes with data management capabilities such as data memory (1000 measurements), built-in utility software and USB connectivity to help users manage data easily.